Learn more about Precipice's cast! Alongside those listed below, we also are pleased to feature the excellent Heather Benjamin and Sheila Thibodeau. 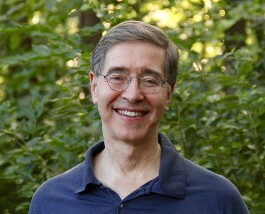 Bob Adler, a founding member of Precipice, started appreciating the benefits of improv more than twenty years ago when failing memory made any other pursuit nearly impossible. A checkered stint at graduate school (followed by an equally checkered career in the federal government) made it painfully clear to him that he would be much better off giving up checkers. Having wowed audiences in scripted theater ("Wow, I hope his part is over! "), he decided to seek the challenges of wide-open id. Bob's favorite roles with Precipice include a randy Scotsman, a humiliated Irish son, a middle-aged man seeking a Bar Mitzvah, a honeymooner on the Amazon River, and the disembodied voice of God as an overworked bureaucrat. Ric started off doing short-form improv with Under the Beltway. He then spent years performing in local theater. Ric joined Precipice 15 years ago, appreciating long-form improv as the combination of short-form improv and acting. 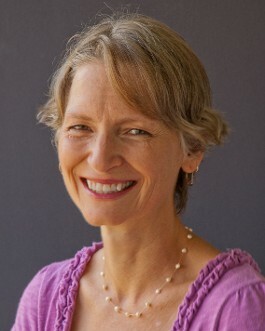 After a nearly 20-year career performing local scripted theater with companies like American Century Theater, Quotidian Theatre, Little Theatre of Alexandria, and Silver Spring Stage, Heather Benjamin joined Precipice Improv in 2015. She is also the artistic director of Perisphere Theater, which she founded in 2014. 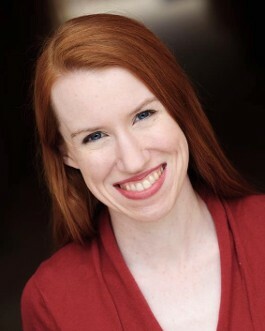 Heather has a bachelor’s degree in theater from the University of Louisville. By day, she works in the marketing field, and she is also a writer and photographer. Laura started performing with Precipice in 2013, after stints performing with short-form improv troupes and a musical-improv troupe. She has a cat. 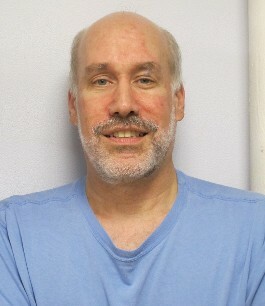 Since 1980, Gary Jacobs has been performing, producing, teaching, and directing improvisation theater. 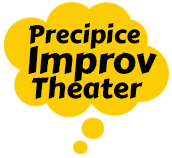 In 1996 Gary Jacobs founded Precipice Improv to improvise full-length plays that are as good as the best scripted plays written today. Upon hearing of Gary's plans for Precipice, his mother said, "This will either be the most brilliant contribution to Western Civilization since the invention of scientific one-point perspective by Masaccio in 1425, or theatrical suicide." 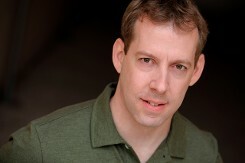 In addition, to teaching his classes in home town of Bethesda, Maryland, Gary teaches the principles of improvising great scenes and plays all over the United States, and abroad. Past teaching gigs include workshops in Santa Monica, Boston, Phoenix, and Auckland and Christchurch, New Zealand. Daniel Mont has been performing with Precipice Improv for practically this entire century. As the years go by and his memory starts to fade he is appreciating more and more the lack of needing to memorize a script. Previously he's performed with Silver Spring Stage, The Washington Shakespeare Company, Maryland Ensemble Theater, Montgomery Playhouse, Greenbelt Theater and Cedar Lange Stage. He's also had plays he's written produced at these theaters, some off-off-off Broadway theaters in NYC, and the Baltimore Playwrights Festival. 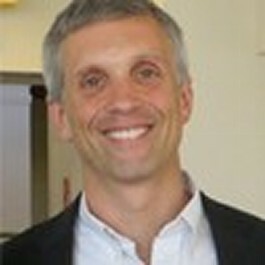 By day, he is the co-president of the Center for Inclusive Policy helping low and middle-income countries and NGOs develop, monitor, and evaluate better policies for the inclusion of people with disabilities. Sheila joined Precipice in 2016 after a decade of improvising. She also once performed with Sinbad (if you ask her, she will tell you the details; she won’t tell us). She is also a guitarist. 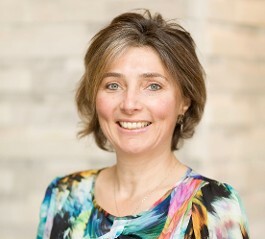 Sheila describes her experience of theatrical improv as “the art of discovering what is not yet known through human interactions in a dance of discovery.” By day, Sheila Thibodeau works as a commercial property manager.